I think I have found the perfect gift - for ANYONE! Check out the details on my Specials Page. You could give this kit to anyone and everyone on your gift list - women, men, teens, even responsible kids (the scissors are quite sharp)! Let me know how many you want for you gift giving!! Chevron Ribbon - On Sale Today! Today is Thank You Thursday and five of our beautiful 3/4" chevron ribbons are 25% off today only! Hop on over to my Stampin' Up! store and get your's today!! Are you loving our Weekly Deals? Every week we have been having some awesome offerings! I think this week, my favorites are the Paper Snips (perfect for fussy cutting) and the Ovals Collection framelits (great price!) To see them all in a bigger size with more detail, check out my Online Store. Creating the Perfect Gift Wrap! If you like to create pretty packages but struggle with it, here is some help for you! Not only will your packages be pretty, it will be SO easy!! You can pick from 2 bundles: one with these decorative window boxes and one with our extra-large gift boxes. Check them out, but don't wait too long - this special is good only through November 11th! And don't worry if you need more boxes or ribbons... they are also available separately! 12 Weeks of Christmas - Are you Missing Out? I have shared the first 4 weeks of my annual 12 Weeks of Christmas program to my Mailing List already. Each week, I share a holiday project complete with photo, supply list, and instructions, free, as a gift from me. If you are not on my mailing list, you have missed the first 4 weeks, but if you sign up now, you can still get the rest. To sign up for my mailing list, just fill out the newsletter box at the top left. I was glad to see another update from Sterling, Shelli's husband on Shelli's blog! Shelli is improving all the time and I hope we get to see her at Leadership Conference in Houston this winter! Have you taken advantage of the 25% off sale??? 25 of my favorite stamp sets are on sale!! You can see them all together here or line by line HERE. Or, if you want to print the flyer, you can do that, too! Download Humongous_List_of_Stamps_on_Sale_US. But whatever you do, be sure to place your order by the 28th! Because on the 29th, it will be too late! It's a lovely Saturday morning and I think it's time for a surprise! 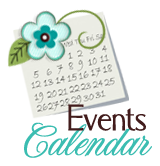 The first 3 people that place an order with me for Stampin' Up! product will receive a special gift from me in the mail! You can place your order online or you can email me or you can call me at 210-684-5800. And don't forget: in addition to our awesome catalogs, there are 25 sets on sale for 25% off AND we also have our Weekly Deals AND there are a bunch of special products, too. In the class, you will make 2 card fronts to go in your Techniques Book plus 2 full cards with envelopes that you can give away. If you can't come to the class, check out my Technique a Week program. Crazy Mixed up Love & Zoo Babies! Remember, until the 28th, 25 awesome stamp sets are 25% off!! I know they are awesome because I own 21 of them!!! (and I think I will get 2 more on this sale). Zoo Babies (wood: 130453, clear: 130456). Psst: this card also uses a set that I have about worn out, Label Love (wood: 130619, clear: 130622). You can't go wrong with that one! And there are 22 MORE stamp sets at 25% off until the 28th. Be sure to check them all out! 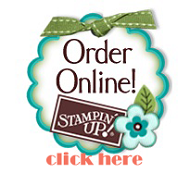 It is easy to shop online at my Stampin' Up! store, but if you don't want to do that, email me OR call me at 210-684-5800.